I recently read an interview in a magazine, where they would talk to people working in different types of jobs and find out more about their day to day roles. Basically a one day diary from morning coffee to when the lights go out. I found this really interesting and wanted to adapt something similar in my blogs so that people reading my blogs, can get to know more about different people’s jobs and what their day looks like. I’m hoping to add something like this in my blog every month, and to kick start it, I asked someone close to home to be my first volunteer. She is a family member and also someone very close to me, and also coz I know she wouldn’t let me down! Jansika Gunabalasingam, 28, creator and designer of Amma and Me. 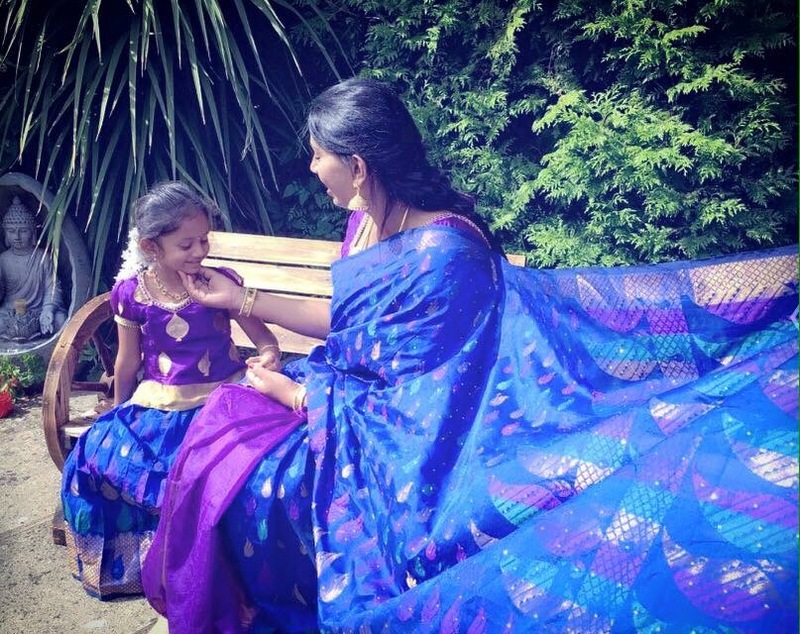 Amma and Me is a clothing brand, that designs bespoke tailor made outfits for mummies and their little ones. She is based in the UK with her husband and son, Romeo. She has kindly let me into her life and tell me a little more about her business and how she got into all this. At 7.00 am, I get up and wake my son up for school. Get him bathed, changed and fed. It’s a bit of a battle in the morning but we eventually get there and usually leave the house by 8 am, if there’s is no other obstacles in the way, but this routine has been going on since he started school and it has been good. All the designing and tailoring of each outfit for my clients. I ensure that they get what they have asked for and ensure that they are satisfied with the end product. I ensure that the suppliers where I am getting my material from are aware of my order at an early stage so that I can deliver each outfit on time and without an issue. I did not apply for this job or go for an interview, I am passionate about designing and sarees and one day, I decided that this is what I wanted to do and just started. I love dressing up in our traditional outfits and thought why not make outfits for people so they can love wearing our outfits too. At the moment my typical day is to go to my full time job as a receptionist and Book keeper at a Law Firm. I work there from 9.30 till 5.30pm and then go home to my family. I spend time with my son and husband for a while and once I have put my son to bed, I sit in front of the sewing machine and sew the night away. It was when I gave birth to my gorgeous little son, Romeo. I know that its not a work related answer, but that was my most memorable moment and to be honest it was a turning point in my life. When my sewing machine has brains of itself and crashes on me whilst I am in the middle of sewing. So annoying! Other than that, I don’t really think there has been a time when I have thought this is rubbish and I can’t do this anymore. I enjoy what I do and therefore it makes it fun and interesting. Seeing my customers happy when they try their outfits on. I see a glow in their face and ‘that makes me happy. When I was little I always used to play dress ups and saree shop games with my sisters and cousins and now all these years later, I can proudly say I am doing what I love the most. Its a good feeling doing what you love and making other girls feel beautiful too in the process. Also the feeling off walking into a fabric store and choosing materials and playing around with colours gives me great satisfaction and I find it very therapeutic. I wind down, I cook, clean, feed my husband and son and then at some point I have some me time. I love listening to music and watching movies and so I try and catch up on a movie or for those who know me, will say I put music on and dance away whilst doing my chores. When I am on my own, my inner Prabhu Deva steps out! 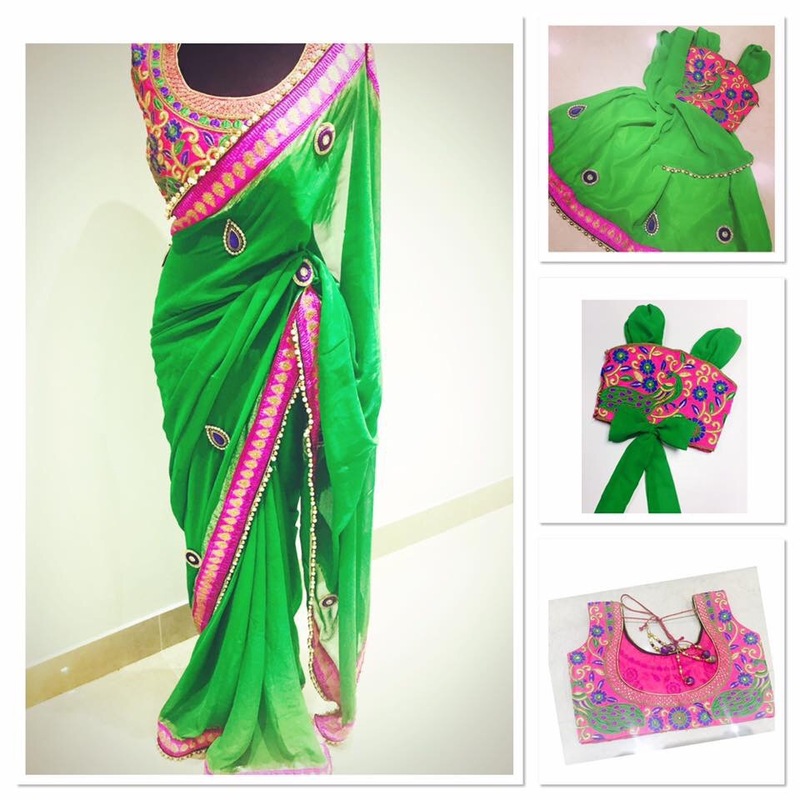 Definately my own Saree shop! All that practising of opening and closing sarees has given me enough confidence and experience of being able to run my own saree empire! Thank you Jansi for being part of my adventure and letting me experiment this new venture with you. I hope you enjoyed this, as much as I enjoyed listening to your answers. I will leave ways to find you on social media below and best of luck with all your future business ideas!